Coco Chanel once advised that when it comes to accessorising, always take off the last thing you put on. I’ve tried to teach this to my five-year-old daughter, who thinks nothing of wearing five necklaces, a headband, twenty hair clips and a handbag, all at the same time. But when it comes to accessorising, does the same rule apply to prams? I think not! Check out the rather eye-catching CityGrips. 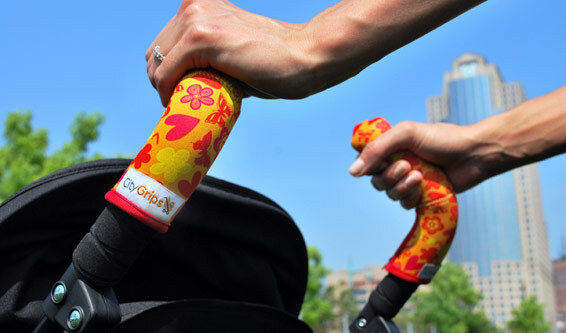 They’re handlebar covers for strollers and prams, designed to make handlebars more comfortable (no more sweaty palms on rubber grips) and protect them from dirt buildup and wear. 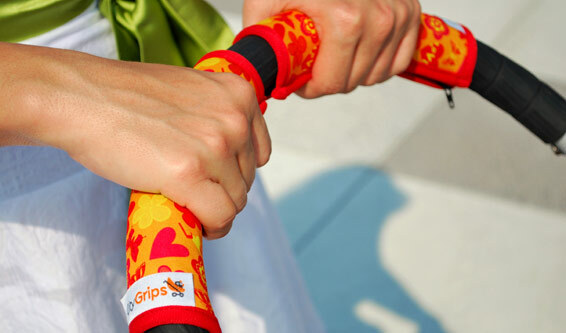 CityGrips are made from plush silky material that is durable and machine washable. 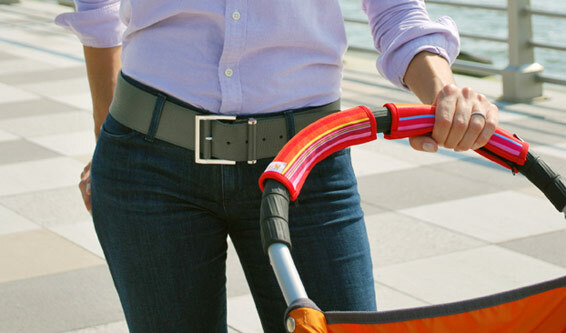 They are available in numerous patterns and colors and are suitable for two-handled or single bar prams and strollers. So whether you’re spicing up your sporty Quinny with the Missoni-esque zigzag covers or adding a practical, all black terry-towelling grip to your Mountain Buggy jogger, there will be something in the range to suit. CityGrips are US$12.95 a pair and international shipping is just US$6.00 – at that price I think I could afford to accessorise my pram with different CityGrips for each season!